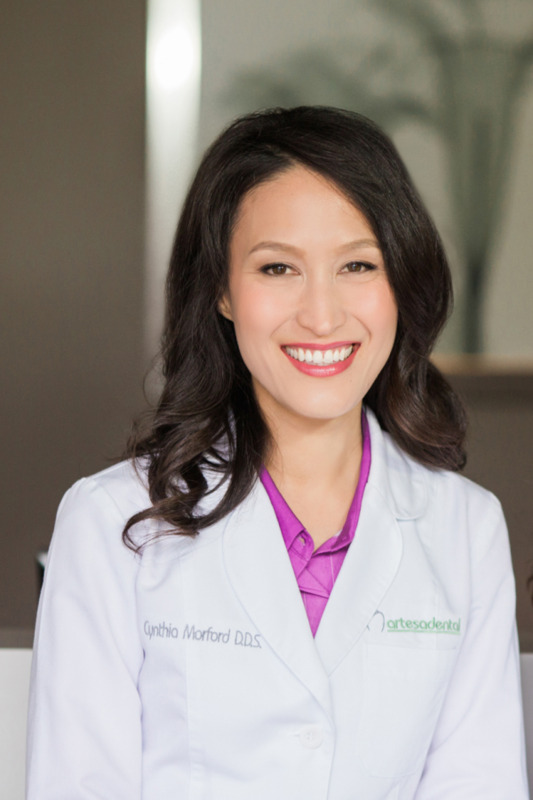 Dr. Cynthia Morford was raised in the beautiful Bay Area and traveled throughout California for her education. She attended UC Berkeley for a BA in Integrative Biology with a special interest in neuroscience and three dimensional art. She then received her dental degree at UCLA while taking advanced elective courses in Dental Occlusion. She then completed an additional 3 years of postgraduate training at UCSF and received her specialty certificate in Prosthodontics. Dr. Morford loves to get involved with community service activities. While attending UCB she was a volunteer CPR Instructor, yoga assistant for students with disabilities, and helped make sports mouth guards for participants in the Special Olympics, While at UCLA she was a director for The South Central Care weekend community clinic and a co-founder of the dental program for the Salvation Army Transitional Village. Dr. Cynthia Morford has a sincere interest in healthy living and nutrition, focusing on organic plant based foods and yoga principles. She enjoys sewing, crocheting, gardening, and spending time with her family and their cat.